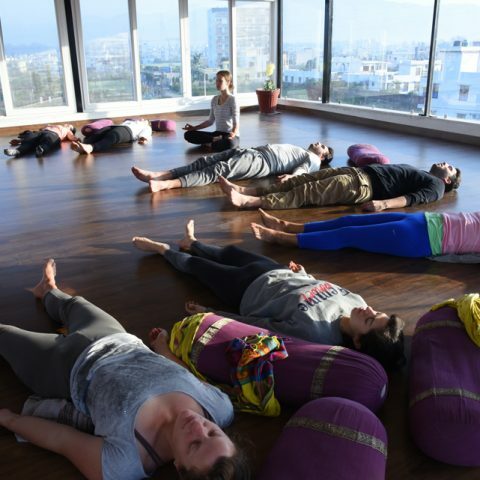 Gyan Yog Breath is a unique and peaceful yoga ashram in Rishikesh, India that offers Yoga Alliance registered 200, 300 & 500 Hour Yoga Teacher Training India. 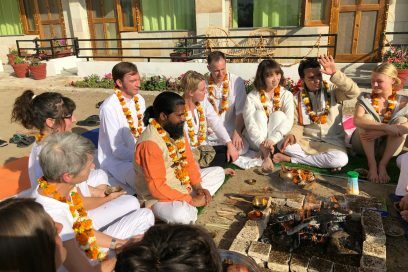 The team consists of 10 firmly qualified and experienced practitioners, Masters of Yoga and PhDs who have been teaching the ancient wisdom of yoga for more than two decades. All yoga teacher training India conducted at Gyan Yog Breath aim to increase the student’s awareness and knowledge about holistic living, Yoga, Meditation & Ayurveda. Swami Bipin Gyan Ji is the founder and heart of the school. His strength lies in conveying clear and simple teachings that can be easily understood and applied to modern life. 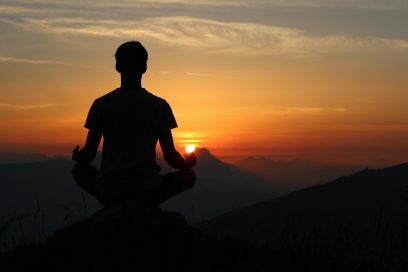 He invented the Emotional Blockage ® Treatment and Power of Transformation Meditation; both healing techniques are exclusively taught at Gyan Yog Breath. Take the foundational step in your career as an inspiring yoga teacher. This 200 Hour Yoga Teacher Training will advance your yoga practice and help you to find your unique teaching style. Our graduates leave us as confident and joyful individuals, ready to share their knowledge with others. During the yoga teacher training you will connect with like-minded people and be encouraged to express your authentic Self. Elevate your teaching skills to the next level and fine-tune your unique expression as a spontaneous yoga instructor. This 300 Hour Yoga Teacher Training gives you the opportunity to incorporate new techniques and refresh your existing wisdom. 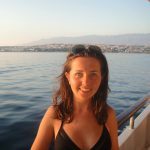 Completing an intensive and complex 500 Hour Yoga Teacher Training will help you to reinforce your yoga knowledge and receive a professional expertise. This 500 Hour Yoga Teacher Training is registered with Yoga Alliance and meets the highest standards. 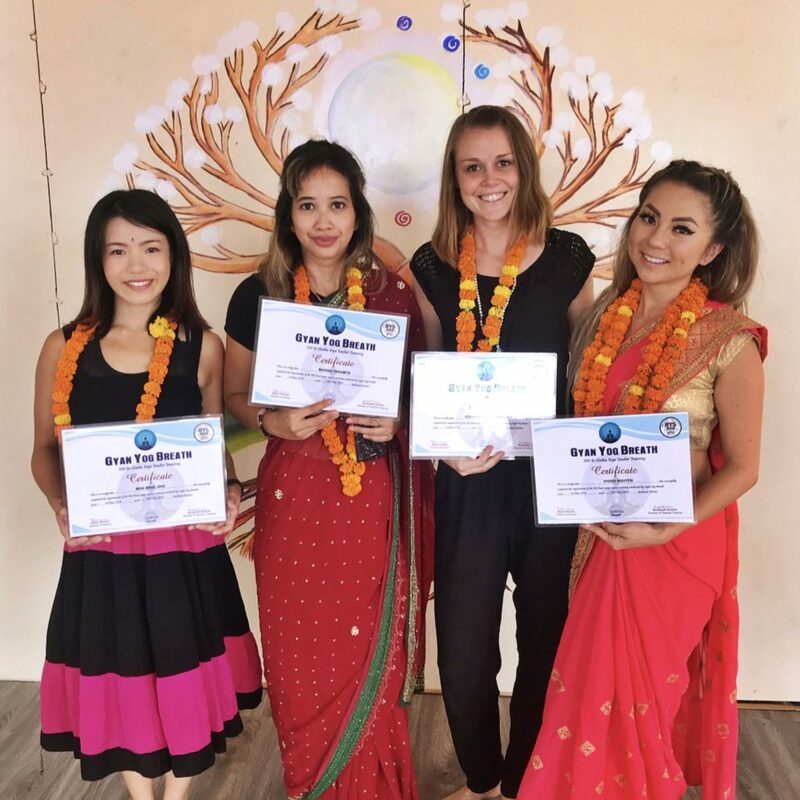 Most of our students love to visit us again after their Yoga Teacher Training; many of them decide to do another continuing course with us as they feel very satisfied and happy. Our yoga school has a partnership with Pankh -the Creativity School for Slum Children in Rishikesh. Our Yoga Teacher Training students enjoy holding free yoga workshops for these kids. It’s a great opportunity to dive into real karma yoga. I don’t know where to start, but to summarise in one word I can only say: love! So much love. I’m doing the 200-hour teacher training. It feels like a family I know since a long long time. These last two weeks are just …I don,t know where to start, but to summarise in one word I can only say: love! So much love. I’m doing the 200-hour yoga ttc in Rishikesh. It feels like a family I know since a long long time. These last two weeks are just amazing, and luckily there are two more weeks ahead of us. We’re learning so much. Not only about yoga and philosophy but also about ourself’s. Emotionally it feels like a rollercoaster, with a lot of ups and downs. It is intense but in a good way. Don’t let it hold you back! The schedule is quite busy, but there is also enough time and space for some moments for relaxing in the sun. Next week we will start practice teaching yoga, I’m so excited! The team of Gyan Yog Breath is amazing. Vipin and Anki are lovely, they take care of all of us in a really touching and personal way! It was my first time in India and everything was new, but I really felt at home at the Gyan Yog Breath Yoga School. The people were super nice, the teachers were amazing, the food was home cooked and really fresh. 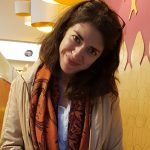 I loved the whole experience, it helped me a lot to achieve my personal goals and peace of mind and I am really thankful to all the wonderful people I met at the Gyan Yog Breath School. That journey towards your inner core and true self. A path which isn’t always easy to take on your own. Thanks to Gyan Yog Breath I’m definitely further in my journey! 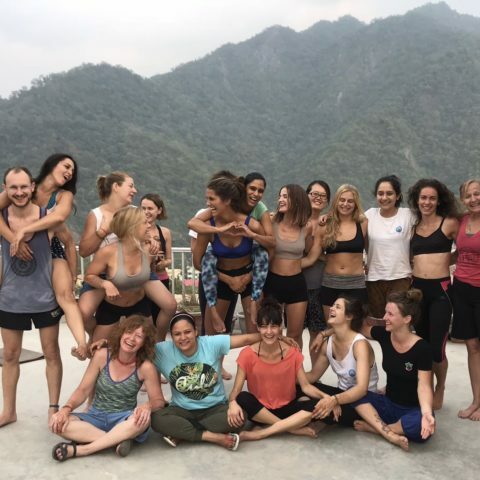 Only a few days before the course ends, these past weeks feel like a great ride What an inspiring, insightful, transforming experience during my yoga ttc in Rishikesh. It’s intense, full on, challenging and very, very rewarding. A safe place to explore yourself deeply. Vipin and Anki are wonderful, lovely people, whatever you need they are there for you. Transformation power meditation with Vipin has taken me to unknown places within myself. 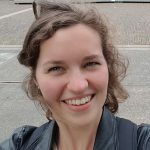 While the yoga lessons with Anki are really nice and fun, she inspires you to do your best without feeling pressure to perform. Her classes are about learning and enjoying the flow! The philosophy teacher, is eloquent, knowledgeable, funny, has an endless resource of inspiring, beautiful stories which make theses classes unforgettable! I’m grateful Gyan Yog Breath not only crossed my path but has given me a much clearer idea of what my path is. It was the perfect yoga school in India to get away from everyday life. I could fully concentrate on the knowledge the teachers had to offer, which was a lot of helpful and interesting things. I grew very much in the time spent there, not only as a future yoga teacher but also personally. 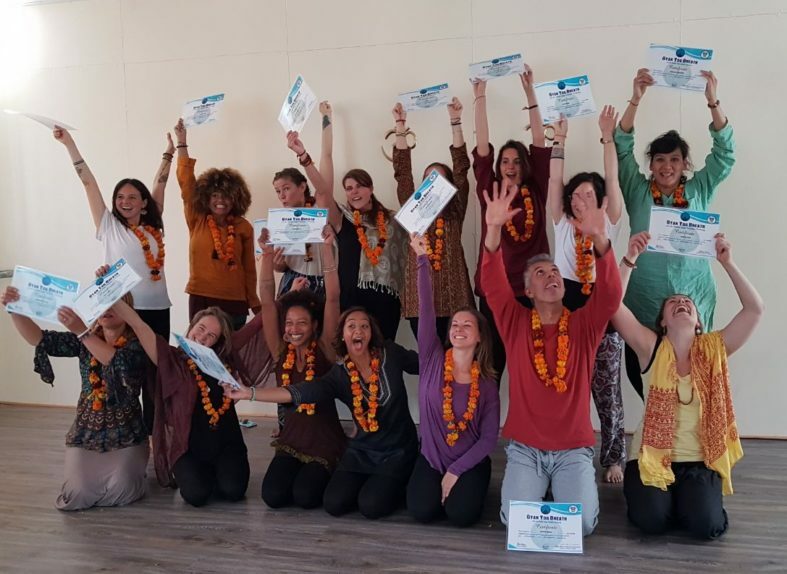 If you are willing to fully open yourself to India and its ways as well as the yogic lifestyle this yoga school has a great capacity to help you on your way. Besides that, you also get enough time to discover the city itself. I had a great time, thank you.